Getting cows into the milking parlor quickly is an important factor when you consider the update of an existing installation or construction of a new facility. Efficient cow flow management will increase profits through reduced stress on the cows and improved time management. After cows enter the holding pen, the operator lowers a mesh gate and slowly moves it forward, crowding the cows through the entrance to milking parlor. 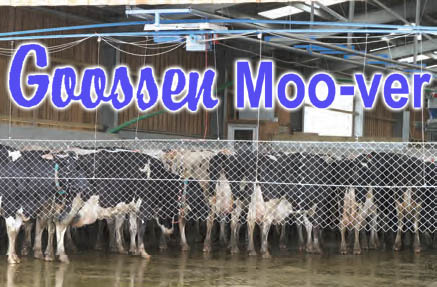 The mesh panel of Goossen Moo-ver is equipped with a switchable electric fencing unit. The audible alarm quickly trains cows to move forward eventually eliminating the need to turn on the electric fencing unit. As the mesh panel is moved forward, the next group of cows can be brought into the holding area. Once the first group of cows is in the milking parlor, the mesh panel is raised over the next group and moved to the rear of the holding area where it is again lowered. The lightweight mesh panels provide superior control. The galvanized steel track and trolley system is self cleaning for maximum longevity and minimum maintenance in a harsh environment. 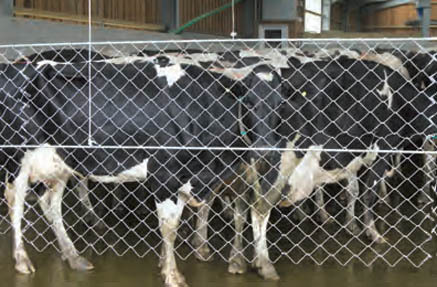 Goossen Moo-Ver dairy crowd gates are also available in weighted drop cord models. 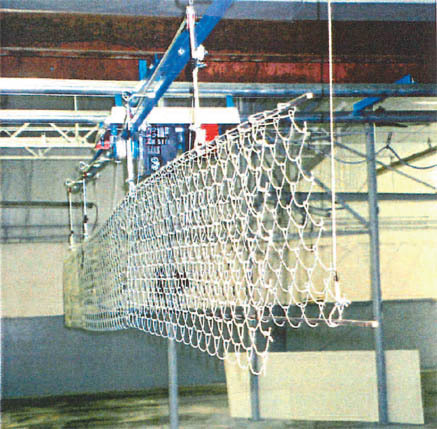 The chain link mesh panels are available in 5' and 6' sections which allow for a variety of gate widths. 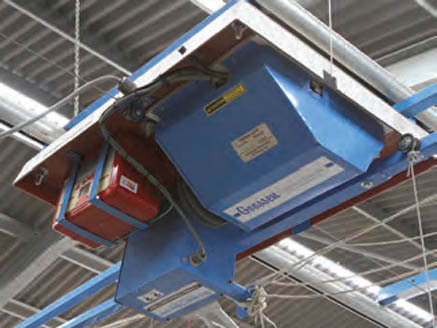 Support boom widths range from 10' to 48'. 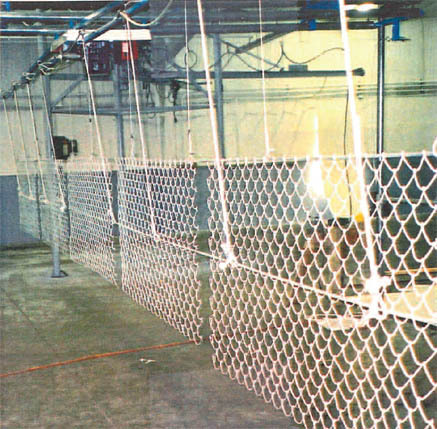 The galvanized steel track comes in 20 foot sections which can be combined or cut for any length of collection area. The best way to appreciate the Goossen Moo-ver crowd gate is to watch it operate. This video is a good example of a typical operation. The carriage equipment is mounted on a 1/2" PVC base that provides for easy installation and access. The system operates on 110 VAC. A transformer would be required for other voltages. 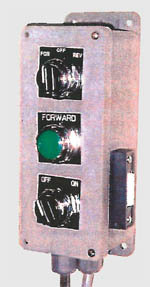 The simple to operate control unit is in a safe, durable PVC enclosure. It can be conveniently placed in any location where the collecting area and entrance to the milking parlor are both in view. will save time and labor in your operation.